How was it working before? If you have experience in it, you know that it was only allowed to target ads based on location, keywords, interests, gender and device of course. Some brands had the chance to target consumers with their email addresses. Now, email addresses and mobile IDs will be easily used to expose ads to chosen Pinterest target. Whoops, you know this from somewhere? You are right; this feature was already being used in Facebook as Custom Audiences and on Twitter as Tailored Audiences. Imagine you are the marketer of a brand. Your customer is shopping on your website but she is not ready to buy yet. So she is leaving the items in the cart without checking out. This feature will allow you to target those people on Pinterest, also allowing you to exclude you actually checked out. This is similar to Facebook’s Lookalike Audiences, which is allowing marketers to reach to a customer base of an existing brand. According to Ad Age, the company piloted the feature with some brands and noted that in the best-case scenario, CTR increased by 63%. However Pinterest didn't give any further information about their CTRs. We work one-on-one with prospective and current clients to develop "Social Media Campaigns" to maximize results while staying any given budget. To have your questions answered by our expert team, contact us by e-mail info@digizoom.nl or give us a call on +31202374993. 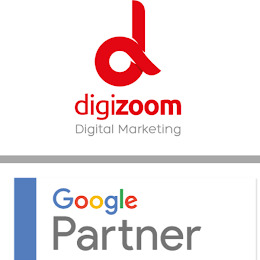 Find out what the DIGIZOOM experts team can do for your business. We're offering you a FREE SOCIAL MEDIA ACCOUNTS CHECK to help to start your Social Media Campaign.